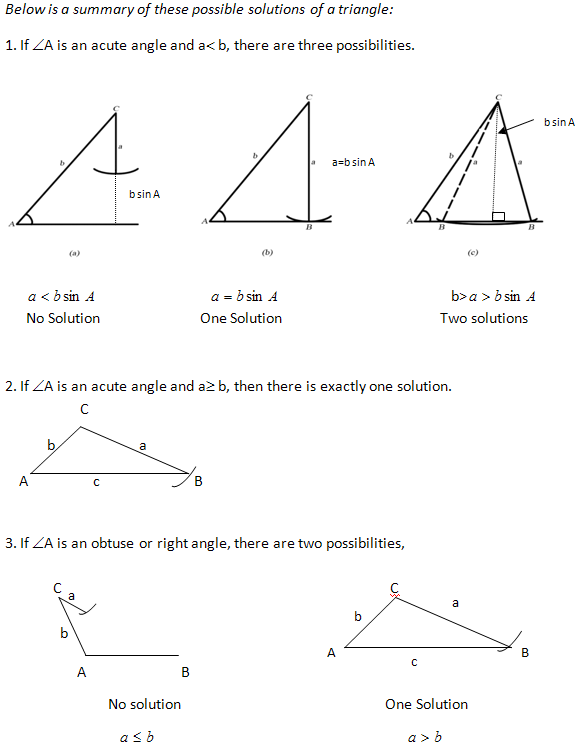 The solution for an oblique triangle can be done with the application of the Law of Sine and Law of Cosine, simply called the Sine and Cosine Rules. An oblique triangle, as we all know, is a triangle with no right angle. It is a triangle whose angles are all acute or a triangle with one obtuse angle. In this case, there may be two triangles, one triangle, or no triangle with the given properties. For this reason, it is sometimes called the ambiguous case. Thus, we need to examine the possibility of no solution, one or two solutions.